"Best Real Estate CRM I've ever used!!" There are so many reasons I like Real Geeks that it's hard to pick the best. Integration with other platforms like BombBomb has really been key for us. The only thing I can say I dislike, if you could even call it that, is that they don't have an app that would help using on a mobile device better, BUT I know they are currently working on one and can't wait. Definitely worth it. So many great features that Real Geeks has and the FB Community has been awesome with suggestions and support that you just don't see anywhere else. All you could want at a price that is hundreds of dollars less than other platforms that are not as good. I like Real Geeks if you are on a budget, and want to generate leads. I really dislike the consumer side of the platform. The actual website looks a little dated (IMO). I also didn't like that the site had very little ability to costumize the look to my liking. Real Geeks is a great platform for people on a budget. It does it's job by keep your current leads organized, and also helps generate leads as well. At the time, I was on a team that offered me the platform. When I left the team, I explored other CRMS (CINC, Boomtown, Firepoint), and I ended up going with CINC. Real Geeks helps keep all of your leads in one place. The front end of the platform also allows you to generate leads as well. Though i wasn't a huge fan of the design of the actual consumer website, it did generate me some leads which resulted in a closing. "Very user friendly, keeps me organized as well as help manage others. " All task options are in one spot on each lead. Once created, all information auto fills. Plus you can create templates for everything. It makes follow up easy and efficient. It sends text and email notifications to your phone, but cannot respond ti texts unless logged in. Nor can it log any email responses you make that aren't done from crm page. If you want something that's easy to use, efficient and keeps you well organized, then this is the system for you. It streamlines your workload and frees you up to manage your appointments. Efficiency! Able to keep up with clients, notes and all communication, as well as schedule follow ups. See all live feeds taking place, upload lists for marketing campaigns... so much! It's a good system! I like that allowed me to use an IDX feed. That is the only concept that I used. I refused to pay for their facebook ad tool and made my own ads for much cheaper. I was able to use the IDx feed to draw people to my site and capture leads. However this is nothing special to this site. It can be done easily from other cheaper better sites. The product. The customer service. The way they conduct business. I have strongly disliked their platform since day one. Unfortunately, I was signed up for it by a assistant and it was nothing like I anticipated. I had no idea I was in for a year contract. I tried to cancel within the first 2 months and was told it was a $600 cancellation fee and that I was better off staying with them. The customer service is dreadful. The platform is nothing special. They charge fees without consent. You have the ability to add admin to your account but they do not tell you the added fee when you do it. They are very sneaky. They lock you in a contract and hold you to the fire. There is no customer satisfaction guarantee which shows they do not stand behind their product. This company is greedy and a complete sham. You are better off with KVcore or anything else. I have spent $1,759 and have a zero return on that money. I have not seen any benefits or problems solved. "The do not honor their contracts and raised the monthly cost with no notice"
They did have good support and seemed to be more concerned about their clients/customers. Alot changed when they were bought by FNF. I was with real geeks for a while, but have found a much better solution with Chime. They were a good company with good support. They recently sold to FNF, which may be part of the change, but they increased the monthly billing by 44% with no notice!! In addition, I was a client with a contract that had been with them for multiple years. Get in writing that they won't change your prices/contract on you - Or, find a company that will honor their prices and client loyalty. Found better options with a new provider - They did offer the solution of a webpage. "Good System - But lacking some things"
I really like the ability to see homes that the lead is viewing. Not having an app for for the team to login and view their leads/notes/lead activity. We have to export to Followupboss right now to view in app form, simplify notes, tasks and be able to email call and text for free and track in one place. Problem is that once leads are exported to followupboss, the properties viewed/favorited by the prospect doesn't export so then we have to log into 2 portals to see the entire thing. Another problem is with search capabilities. Currently, with a real geeks website, the lead cannot search with more specific filters. For example, if they want to only view homes with pools, or only 1 story homes, there is not way to filter these types of searches. They're too broad which frustrates the prospect that need to narrow down more specifics than just area or price. I feel like this is a temporary bandaid to help assist in capturing leads and keeping track, but another CRM may be required to eliminate the need for multiple apps and portals. 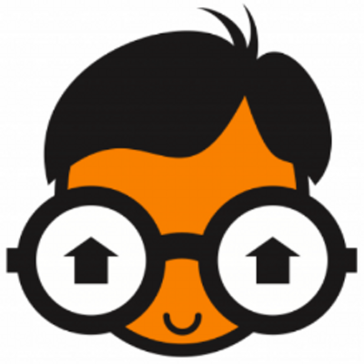 "Great software/website for real estate agents & brokers"
I love the ease of use of real geeks. Consumers like that they can easily search for properties from their phone or computer and save properties, create new searches, etc. I like how easy it is to edit my website when I want, something that I was unable to do with past product providers. I can more efficiently match home shoppers with my real estate agents and track their communications as well. It's easy to use and easy to navigate. I like how i'm able to have all of the clients information in one spot & that it is very organized. Not much. I think the only thing that I"m not the biggest fan of is that it doesn't sign me in instantly. But that's about it. Make it your go to software. It's a great tool to be organized. Especially with the tags on the top of the page. Communication among the agents in the office. We are able to keep up w/notes on there, where everyone can see the activity that is happening with specific clients. If you're an individual agent looking for a good lead gen solution. This is for you. It is a one stop place for all real estate lead generation. It is simple to use and it is also integrated with other lead sources such as Zillow. It really works the best for small businesses. The thing I dislike about Real geeks is that they do not have many layouts for lead generation. I would need little more help with navigation too. Its wonderful since I can generate all my leads all in one place. I have also integrated it with zillow. I used this site for my mom when she got her real estate license. It’s easy to navigate and easy to use. I honestly don’t have anything that I didn’t dislike. I’m a very picky person when it comes to certain things. If you’re in real estate... I recommend this site! I’m not the one who runs the site, but it was good from what I’ve seen it’s helped my moms site better for her real estate company. "Great Site to help build sales with your company"
Helped in crease real estate sales but over 50% in just a few weeks. Theres nothing we did not really like with this site. We realized that we needed to bring in some help to help build our clientele. I find it to very user friendly and effective for my needs. It's also a powerful tool. Anyone Can self learn it. I sometimes have been bounced of the account for no apparent reason and need to log back on with out my items being saved. TO gauge my audience better. * We monitor all Real Geeks reviews to prevent fraudulent reviews and keep review quality high. We do not post reviews by company employees or direct competitors. Validated reviews require the user to submit a screenshot of the product containing their user ID, in order to verify a user is an actual user of the product. Hi there! Are you looking to implement a solution like Real Geeks?